Many birds of prey, once critically endangered in Pennsylvania, have been making a slow comeback. Once rare, sightings of eagles are now commonplace in Schuylkill and Berks Counties and osprey can be found nesting near many lakes throughout the summer. During this year's spring migration one such bird, a young male osprey just under 1 year old, made an appearance at Stoyer's Dam in Schuylkill Haven. Rather than just fishing and continuing north, he decided to stay and became a spectacle for the town's residents. He arrived April 18th and on the 26th, just eight days later, was found stranded on an island in the Schuylkill River near the dam. Assistant rehabilitator Greg Nason went to the scene and rescued the bird from the river. X-rays revealed that a single pellet from an air gun was lodged in the right elbow joint. Although not having the power of traditional firearms, wounds from BB and pellet guns can be severe. Having such a large wingspan and needing great strength to fly and hunt, the placement of that single pellet in the elbow joint grounded this osprey for life. Osprey are often difficult birds to house. They eat only whole fish, an expensive diet to feed, and often will not eat at all. Their nervous, high-strung personalities and inability to recover from stress can easily result in sudden death. Possibly because of his young age, this osprey was the opposite: calm and eager to eat. He healed quickly and adapted to his new life as a resident of Red Creek. "Ozzy" now helps other osprey handle the stress of rehabilitation. A second injured osprey arrived this summer at Carbon County Environmental Center after being struck by a car. This one, having the normal high anxiety levels typical to this species, refused to eat and was being force-fed. The bird was transferred here a week later to join Ozzy and when the two birds met, she relaxed enough to begin eating on her own. 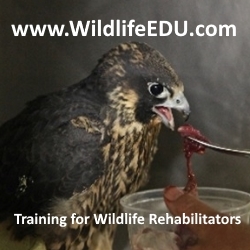 The two will share an enclosure at Red Creek until her broken wing heals. The person who shot the osprey in Schuylkill Haven has not been identified. 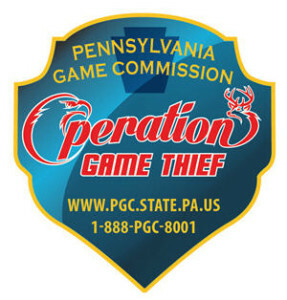 Anyone with information on the culprit should call Red Creek or the Pennsylvania Game Commission.